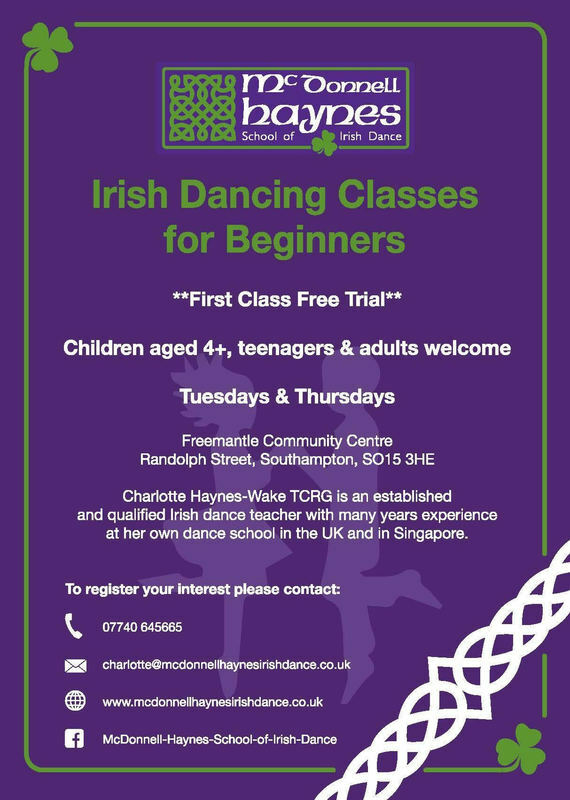 Irish dance classes are held by Charlotte Haynes TCRG, a qualified teacher with many year experience in both the UK and Singapore. Held on a Tuesday between 5 and 7, at present these classes are for children over 5 years of age, There are also classes now running on a Thursday between 6 and 8 pm, though if there is enough interest in the future Adult Ceili classes will also be held. Places can be booked by contacting Charlotte (details below), who will answer any queries you may have. Prices are £4 per class, payable half term in advance.